As one of the biggest events in Middle East and the most important event of its kind in Iran, Iran Pack Print exhibition acts as the most effective medium for establishing and maintaining relations between Iran and international pack and print industry. Pack & Print Machinery Exhibition is a 4 day event being held from 15th December to 18th December 2017 at the Tehran Int’l Permanent Fairground in Tehran, Iran. This event showcases product from Packaging Materials, Printing & Publishing industries. Pack & Print Machinery Exhibition is an exhibition related to the International Presentation Machinery, Technology, Materials, Equipment and Supplies for Packaging and Printing Industries. Exhibitors include printers, publishers, business communicators, creative professionals, publishing executives, converters, bindery and finishing specialists etc. 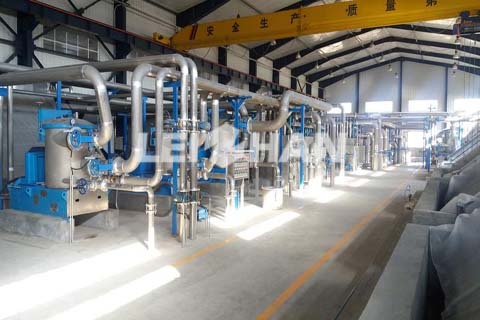 Leizhan as the professional paper&pulp machine manufacturer, we have 37 years experiences, our manager and engineer will attend this exhibition if you have any need or questions welcome to contact us, the following is our Booth information.